One of the most visionary leaders of the present BJP government, former Defence Minister of the country and chief minister of Goa, Manohar Parrikar will be remembered as an ever-green leader for his charismatic and dedicated leadership for the country. 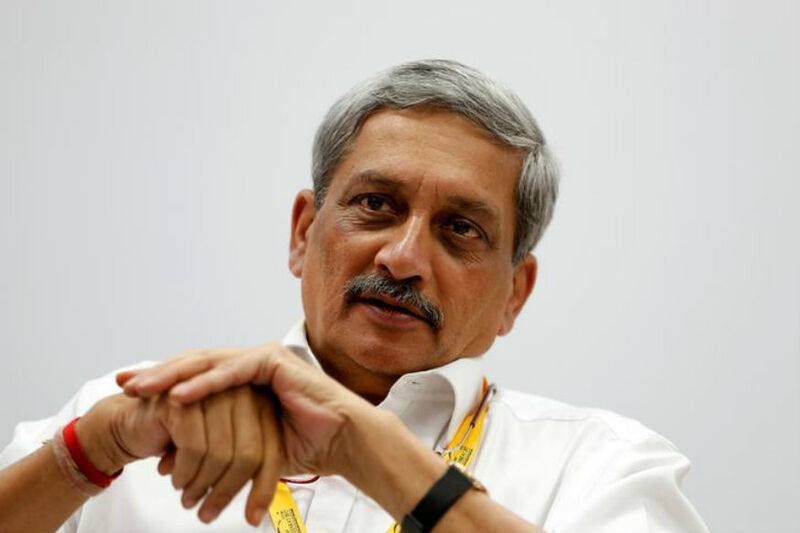 Parrikar, 63, who fought a long battle with pancreatic cancer, was on treatment for the condition for a long time before succumbing to it on March 18. Despite his waning health, the Parrikar made it a point to attend his responsibilities avoiding his health condition and was one of the most respected figures among the BJP cadre. IIT Bombay-educated technocrat also played a crucial role in leading the country as the Defence Minister of India. Mourning his death, IIT-B, in a press statement said that they were shocked by his sudden demise. An official statement noted, “Goa Chief Minister Manohar Parrikar’s demise comes as a shock to all of us at IIT Bombay. He was the institute’s distinguished alumnus and was keenly involved with many initiatives at IIT Bombay. He was also deeply involved with the launch of I Goa”. As an ode to his tireless commitment towards the office that he held, be it as the Defence Minister of the country or as the four-time CM of Goa, we look at the number of times that Parrikar played a significant role in shaping the future of technological advancement in the country. Bringing NIT to Goa: The CM played a crucial role in bringing the think tank to the state in 2010. In December, Parrikar along with HRD Minister, Prakash Javedkar laid the foundation for the institute’s permanent campus.”Unveiled foundation stone for permanent campus of National Institute of Technology Goa in presence of HRD Minister Shri. @PrakashJavdekar. The state’s higher education sector will get a major boost with NIT Goa as 40% of the seats at the institution will be reserved for Goans,” reads his tweet on the development. Just days before his passing, the Institute also conferred him with an honorary doctorate for his contribution for the state, “I am truly honoured and humbled to receive the Honorary Doctorate by National Institute of Technology Goa,” Parrikar said. Strengthening Defence: Though his stint as the Defence Minister was relatively shorter and he chose to serve his state towards the end, in this short time he revamped the sector completely. Parriakr addressed the critical hollowness that was present throughout the country and procured ammunition and spares worth INR 5,800 crore for the army and INR 9,200 crore for the air force. Under his leadership, the NDA government started looking at emerging technologies like AI and ML, which just making waves in the country. The Defence sector started adopting advanced technologies like autonomous drone surveillance and advanced robotics. Shaping Goa’s IT landscape: The Goa IT Day is a confluence of tech leaders and politicians in shaping the technological landscape of the state. Parrikar as the CM of the state and as a technocrat was welcomed investments and ideas to transform the state. Speaking at the sidelines of 2018 Goa IT Day, he said, “Goa offers immense potential for developing cutting-edge technology and it is his dream to see Goa become an IT destination. Referring to a large number of Goans seeking opportunities outside the state, Parrikar said the IT sector’s development in the state should pave the way for a reverse brain drain.